Takeaway: Maximum Yield is pleased to showcase some of the best modern growing products available on the market right now. In this post we are featuring products from ​Dr. Earth, Active Aqua, AgroLED, Rx Green Solutions, GuardenWare, and P.L. Light Systems. These products are all #GoodtoGrow. AgroLED’s Sun Par 5,000K and industry-first 2,000K LED are designed and produced by one of the most respected names in horticultural lighting. The 2,000K offers all the benefits of flowering found in HPS lamps. The 5,000K delivers full-spectrum lighting for full-term plant growth. A sustained, maintenance-free life is a vital value of LED, and thermal management dictates LED life. Sun Par’s thermally managed, properly driven high specification components, including high-quality, Japanese-made, Nichia brand chips and Meanwell drivers, equate to a superior fixture for the most extreme conditions. 528 diodes x 0.738W Nichia brand chips=390 diode watts. 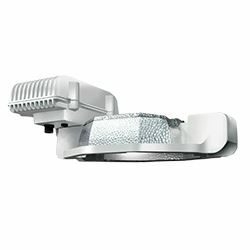 Includes two types of interchangeable optics to accommodate various mounting heights—a 90-degree beam spread for higher mounting applications and 120-degree beam spread for a wider coverage area at lower mounting heights. IP65 rated. Comes with an industry-first, 12-foot Convertible Smart Volt 120/240V power cord and eye bolt-style loop for mounting. 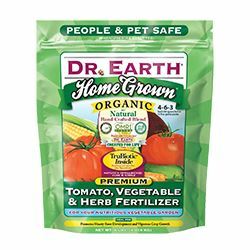 Dr. Earth Home Grown Tomato, Vegetable & Herb Fertilizer promotes hearty root development and vigorous crop growth. It is OMRI- and CDFA-certified organic, with premium ingredients that provide primary essential nutrients, micronutrients, and multi-minerals. Calcium can be a limiting factor in optimal plant health, which is why Home Grown Tomato, Vegetable & Herb contains fish bone meal—a source for lasting calcium, which increases brix levels and reduces the chance of blossom end rot. Mix fertilizer globally into the soil or scratch around into the plant's soil surface and water thoroughly. Home Grown Tomato, Vegetable & Herb fertilizer is infused with TruBiotic microbes, a proprietary blend that enhances drought resistance, increases nutrient availability, and protects the plant from pests and pathogens. Your plants will thank you for using Dr. Earth Home Grown Tomato, Vegetable & Herb Fertilizer to achieve superior harvests in an environmentally responsible manner. Active Aqua’s new tray stands incorporate a flat bench style that accommodates all designs of standard size hydroponic flood tables. 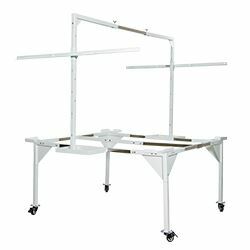 Featuring sturdy reinforced steel construction, the stand is on lockable casters for easy mobility, and includes a height-adjustable crossbar for hanging lights. The removable corner guards add to overall stability and prevent the tray from shifting, ensuring equal water distribution and proper drainage. The powder-coated stand is easily assembled in less than 30 minutes with no tools required. There’s also a low-profile leg kit available separately for growrooms with height limitations. Strong, durable, and built to last, the Active Aqua Universal Tray Stands are a great choice for anyone who wants to make their grow space function more efficiently. Retailers can order exclusively from Hydrofarm. Rx Green Solutions have come up with two new additives for their natural-based product line, which utilizes a biomineral approach to combine the beneficial qualities of organics without compromising plant yields. Rx Green Solutions only uses the highest-quality ingredients to ensure the end product is clean and safe to smoke or be ingested. Heavy metals are non-detectable down to parts per billion in our formulas. 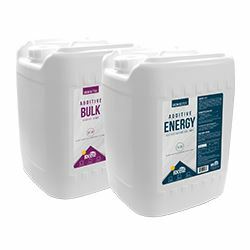 ENERGY is a product derived from traditional and organic ingredients, including plant extracts (kelp and yucca) and humic acid. ENERGY can be used throughout the plant’s life cycle to enhance nutrient uptake, root development, and stress tolerance. The organic components stimulate plant vitality, fruit quality, and flavor. BULK is a PK booster containing a blend of phosphorus, potassium, and calcium in a true solution. It provides the necessary energy to optimize flower production, bud set, and bud density. BULK should be used in the flowering stage to optimize flower production. The new NXT-LP HPS 1,000W system from P.L. Light Systems offers a wide and exceptionally uniform light distribution to deliver optimum light intensity evenly across the surface of the crop. 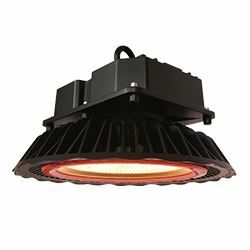 Included in the box is the NXT-LP fixture, cast aluminum housing with electronic ballast, reflector bracket, lamp holders (1,000W DE), alpha reflector, mounting points, a six-foot 120V power cord, a six-foot 240V power cord, 1,000W electronic DE lamp, hanging kit, two S-hooks, two two-foot lengths of chain, a wire bracket, and two eye bolts. GuardenWare glass storage jars attractively display herbs and harvests while keeping them fresh longer. A flip-top lid, stainless steel clamp, and silicone gasket provide an airtight seal on each jar, preserving flavors and aromas and extending shelf life. While their classic style is looking great in your home or your storefront, these jars’ food-grade construction ensures the integrity of your harvest. 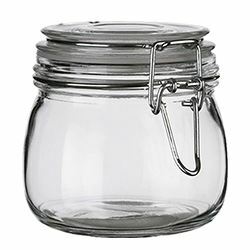 These exclusive GuardenWare glass storage jars come in a full range of sizes. Retailers can order through BWGS. What Exactly Makes a Fertilizer Sustainable?